If you need any type of repair to your vehicle, we will always give you a full estimate before we start work. And if you’d like, our mechanics can even show you the problem part before we fix it. Apply Advanced Formula Motor Flush to remove internal contaminants from Engine. Apply Advance Formula Fuel Treatment to Fuel Tank. * All service prices depend on the make and model of your car, engine size and the oil to be used. If your car is pulling to the left or right then 99% of the time this can be fixed by having your wheel alignment set.  Wheel alignment is also recommended after any suspension work has taken place on your car where the alignment may have been affected. If your brakes are squeaking, binding or whirring we can check them over for you. If required we can clean up and grease or change brake discs, pads, calipers and hand brake cables. We can check the tread and pressure of your tyres, as well as appearance for tears, bulges, cracks or perishing. Tyres can normally be supplied and fitted same day.  We have access to various makes, and can also supply and/or fit Winter Tyres. The timing belt (a.k.a the cam belt) is responsible for turning the camshaft at the right speed in relation to the crankshaft, and ensures that valves in the engine cylinders open at the correct time. 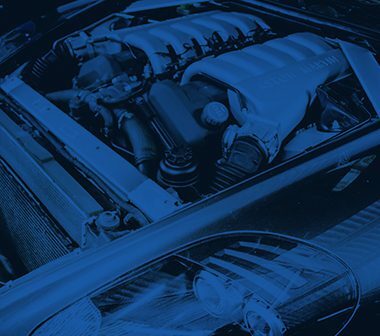 It is essential to replace timing belts at required intervals, because if the belt snaps whilst in motion it can result in serious and irrevocable damage being done to the engine. Information as to when to change your timing belt can be found in your service manual. Our mechanics can help if your clutch feels unusual or if you’re hearing noises when changing gears. Our fully qualified mechanics will conduct a comprehensive check of your clutch system to put your mind at rest. Depending on the make and model of the car most clutches can be ordered in the same or next day. 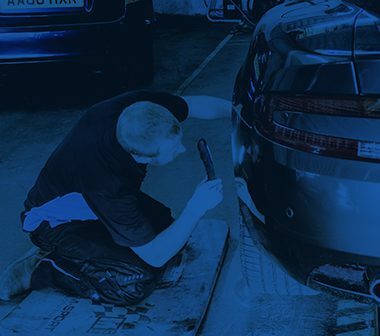 We offer a variety of services for your exhaust, whether it is replacing a bracket, welding small holes or replacement of full sections and catalytic converters. If your car is pulling to the left or right more often than not this can be fixed by having your wheel alignment set. Misalignment can cause tyre wear, increased fuel consumption, unsafe vehicle handling and premature suspension component wear amongst other issues. 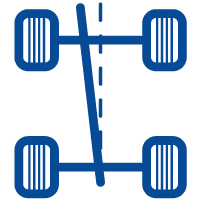 Wheel alignment is also recommended after any suspension work where the alignment may have been affected. The alternator is an essential component in a vehicle. The alternator charges the battery and powers the car’s electrical system when the engine is running. It is a component that can sometimes fail and your battery may appear flat if it does. As an essential component in your vehicle, it is worth investing in a top quality alternator and not a cheaper alternative. Our mechanics can quickly test your alternator to see if you require a new one. Suspension components, including springs, shock absorbers (or struts on some vehicles), anti-roll bars, control arms and other parts, take constant daily pounding from pot-holes, weather, dirt and grime. 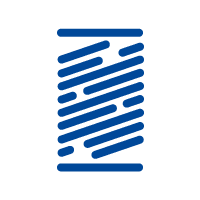 Under these conditions, any suspension component can be damaged or worn out from years of abuse, resulting in a number of symptoms and/or noises that should be an indicator to get your car to the garage. Gear box repairs or replacements are inconvenient, stressful and can be quite expensive, so pay attention to any activity that seems unusual. Keep an eye out for: Lack of Response, Whining, Clunking and Humming, Leaking Fluid, Grinding or Shaking, Burning Smell, Refuses to Go into Gear, Noisy in Neutral, Gears Slipping or Dragging Clutch. If any of these occur, book your car in for a check immediately. We have highly experienced mechanics that offer a high quality gearbox repair and replacement service. An engine diagnostics check can help identify the problem when a warning light illuminates on your dashboard. Most modern vehicles today contain an on-board computer known as an Engine Control Unit (ECU). Sensors all around the vehicle will report back to the ECU. If there are any problems such as low fluid levels or increased engine temperature, an error code is generated. 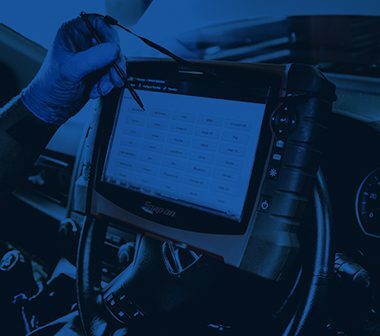 Here at Albyn Garage our mechanics are fully trained to use our Snap-On diagnostic equipment which can read the engine fault codes in your ECU’s memory. Our mechanics can then suggest any necessary repairs. Here at Albyn Garage we do our upmost to repair any puncture in your tyre before replacing it. Whether it is a slow puncture, or a nail we will do our best to repair it. We can also clean up and reseal the beads around tyres which can also be a common cause of a slow puncture. A Vehicle Health Check is a visual inspection of your car carried out by our trained mechanics. Health checks can be tailored to your specific needs and can include checking your tyre pressures and tread depth, both internal and external lights and all fluid levels. A more in-depth health check can also include inspection underneath your car, including the exhaust, suspension and brakes. All parts and labour come with one years warranty – warranty cover will depend on mileage. The vehicle will also have to be presented to Albyn Garage for the warranty work to be carried out. We will not reimburse customers without personal inspection of the vehicle at the time of failure.